"Your nature is a hard thing to change; it takes time. One of the extraordinary transferences that happen in your spiriutal life is not that your character flaws go away but they start to work for you. You're insecure: you end up a performer who needs applause. I have heard of people having life-changing, miraculous turn-arounds, people set free from addiction after a single prayer, relationships saved where both parties 'let go, and let God'. But it was not like that for me. For all that 'I was lost, I am found', it is probably more accurate to say, 'I was really lost, I'm a little less so at the moment.' And then a little less and a little less again. That to me is the spiritual life. The slow reworking and rebooting of a computer at regular intervals, reading the small print of the service manual. It has slowly rebuilt me in a bettter image. It has taken years though, and it is not over yet. I think Bono is onto something here. Sure, it's not the Puritan ordo salutis, but perhaps the ordo is a bit too organized, even for the Bible. Barth has said that sanctification is a series of conversions. The idea is that sanctification is salvation (not vice-versa) and salvation is as much a point as it is a process. Gradual change. Even the addict has deeper and more significant sins to deal with than addiction to crack. That's just the surface of the sinner's heart. But the propensity to be addicted just might be a spiritual value--the human impulse to desire, to crave. God's provision can be humbling. As some of you know, we live on the Atlantic Ocean on Boston's North Shore. Our rent--$150 a month--for a two bedroom garage apartment. 229 Summer St is nestled in the woods, on a hill overlooking the ocean. Below is a private beach, beyond is Cape Cod and the city of Boston. The view is stunning. But there's a catch. In exchange for this outstanding rent, I do work on the grounds and errands for our landlords. 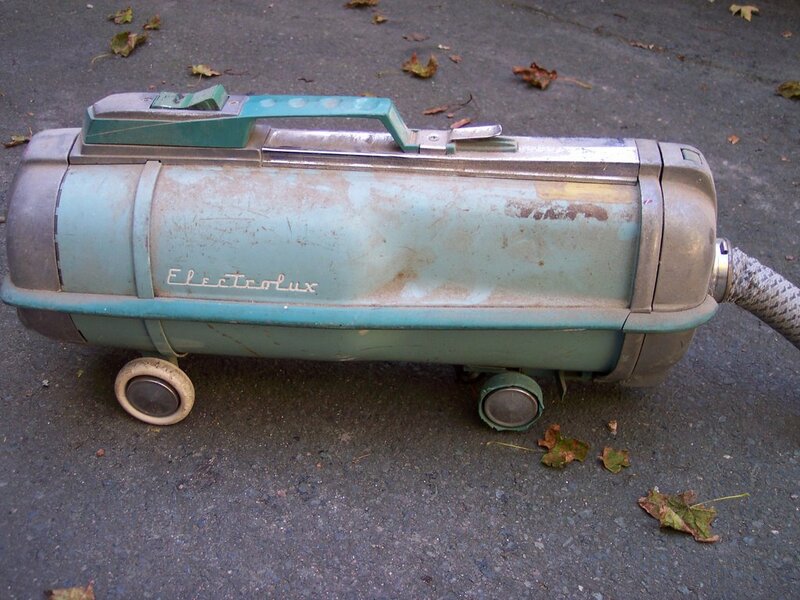 Yesterday I broke out the electrolux at my landlord's request. Time to clean the two Lexus SUVs. Ironically, the Electrolux automatic is what I use to vaccum the SUVs. As I was vaccuming, I began to think about the humbling nature of this agreement--I do whatever work they want for cheap rent. I also did some of the weekly duties yesterday, like emptying all thier trash and recycling to take it down to the bottom of the driveway for pick-up. Picked up Poland Springs bottled water and sparkling water with lime and restocked their kitchen. Sometimes I wish I could just take out my own trash, vaccum my own car, and not buy my own fancy water. But God's desires are greater than mine. He has called me, us, to a life of humble service. Whenever he provides, humility should abound. God's provision, I'm learning, is not only about meeting my physical needs, but also my spiritual needs. I am poor in humility. God wants to make me rich. So he provides a servant-like job in king-like grounds. I am a care-taker, not the king. All that God provides--health, finances, homes, children, respect, vocational success--should be a humbling reminder that I am brokering what is his. My family is his family. My money is his money. My success is his success. Whenever pride peaks at any flourishing in my life, may I always remember the Electrolux and vaccum any hint of hubris with repentace and faith in the gospel-providing God.